*According to MINI USA Sales Reports for CY 2018. A MINI is a unique type of vehicle. And no one understands it quite like a MINI certified technician. 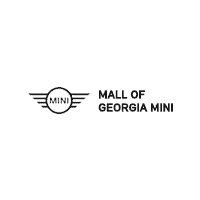 Have Mall of Georgia MINI service your vehicle today and get you back on the road. Looking for a great deal on new or certified MINI? At Mall of Georgia MINI, we’re more than just your ordinary car dealership. We not only provide MINI sales and maintenance, but we also offer advice to help you decide on the perfect vehicle for your budget and lifestyle. Located in Buford, Georgia, we proudly serve the Atlanta area. We are humbled to be voted “Best Auto Dealer” by Gwinnett Magazine! If you’re in the market for a new or preowned MINI, as well as a selection of used cars, we’ve got you covered. We are proud to have a grand inventory of your favorite MINI Convertible, Countryman, Clubman, and more! Let us show you why we’re the best dealer in Georgia. When you go to purchase a car, you don’t want to have one in mind only to find that the place you visit doesn’t have the model you’ve set your eye on. Fortunately for you, that’s just not the case at Mall of Georgia MINI. We stock all the latest MINI cars including the Convertible, Clubman, and Countryman in new and used capacities. Even if you don’t want a MINI, we have plenty of other used vehicles. We even have a large inventory of cars less than $15,000 for first-time buyers, recent college graduates, and buyers on a budget. No matter what you’re in the market for, chances are Mall of Georgia MINI has what you need. Not all dealers go into the auto sales industry with the mindset of providing the utmost in customer service. For many, it’s about making a quick buck at your expense. However, we do everything we can to make you feel welcome as soon as you walk in the door. To us, it’s not just a sale; it’s an investment of time that we want to pay dividends in the future for both of us. With our unwavering commitment to customer satisfaction, you never have to feel like you’re a second-rate customer. We value our relationship with you and want to see you come back to us for years on end. With the excitement of buying a new car, you might overlook some of the other aspects of the purchase. One of those facets is what to do with your old car. Unless you’re looking to form a fleet of your own, you need to sell your vehicle. However, selling your car to a private party takes time and resources that you may not have. That’s why we offer fair trade-in value for your vehicle. Unlike the other dealers, we want to give you what the car is worth without having the hassle of negotiation. So, whether you’re trading in a like-new car or an old clunker, we’ll figure out something that works for both parties. When it comes to purchasing a vehicle, financing is always an uneasy topic. However, we take the time to walk you through every aspect of the process to find you the best deal we can. Our team of finance professionals works around your schedule to find the best rate and term possible. Only then can you have peace of mind after your purchase. Start the financing process today from home! If you’re in the market for a vehicle, there’s no reason not to take your business to Mall of Georgia MINI. We’ll make sure your decision is the best you’ve ever made. Come by and see why we were voted “Best of Gwinnett 2018”!